This makes my heart sing! 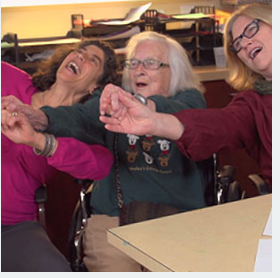 What a wonderful new free resource to bring the arts and joy to caregiving. The NCCA Creative Caregiving Guide provides an expanding array of creative lessons to address the physical, mental, and social needs of family and professional care partners of adults living with Alzheimer's disease and related cognitive disorders.